Lots of pages have popped up on Facebook recently with little nuggets of nostalgia from when I was a kid. I think it is always nice to look back at the past and remember those things which at the time either mortified you or made your heart swell to the size of a balloon. So I have put my thinking cap on, and I must admit it has gotten quite snug, and I have gathered some of the things that I remember from my childhood. One of the strongest glues bonding Irish children of the 80s is the TV show Glenroe. Every Sunday night without fail the strains of the end credits sent fear deep into our hearts. It meant two things. 2. School in the morning. Every Sunday night my brother, sister and I would scramble to start making our school lunch as soon as we heard the music just so we could have a few more coveted minutes before the inevitable march up the stairs. I loved Sunday night television. Before Glenroe there was another TV show that I adored. It was called Where in the World. I credit it with giving me my travel bug. Watching it now it is a bit twee but oh how I loved it as a child! I remember my Da in particular loved Kevin, he was the kid who did the quizzes and pronounced 'five' as 'fyove'. I loved Pajo. Especially when he lived on the boat and possibly had a green frog? I loved watching Don Conroy draw. I was never able to do it as well as he did but I loved it! 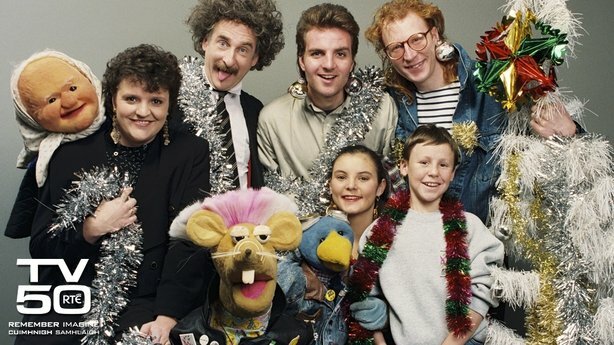 Can you remember your Christmas gifts from your youth? The other one I really remember is a book. It was a collection of all Laura Ingalls Wilder's novels about growing up at the end of the 19th Century. I lost it but hopefully I will come across it again. If you happen to see a copy please, let me know! I still have Bread and Sugar and I do actually read it every now and then! 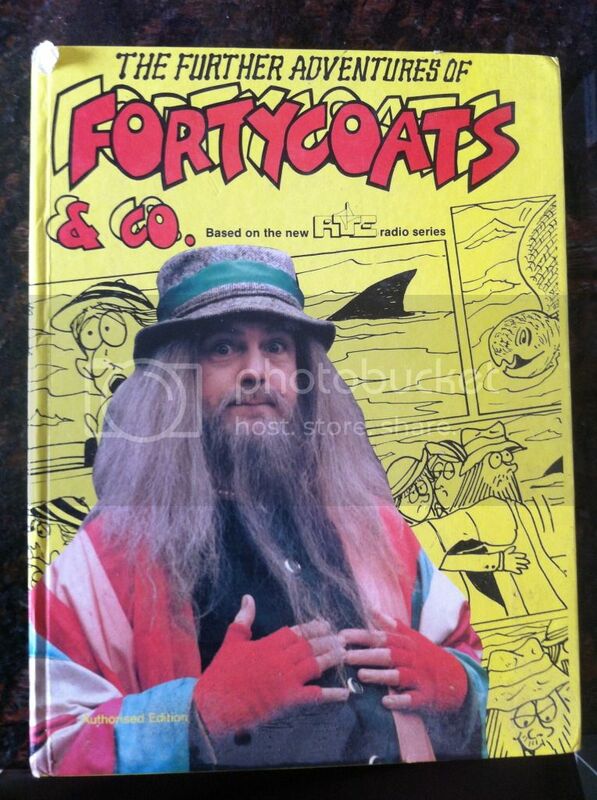 He (Fortycoats) had two companions, Sofarsogood and Slightly Bonkers. I have searched high and low for this annual but it is lost with nostalgia I fear. I remember it being really witty. 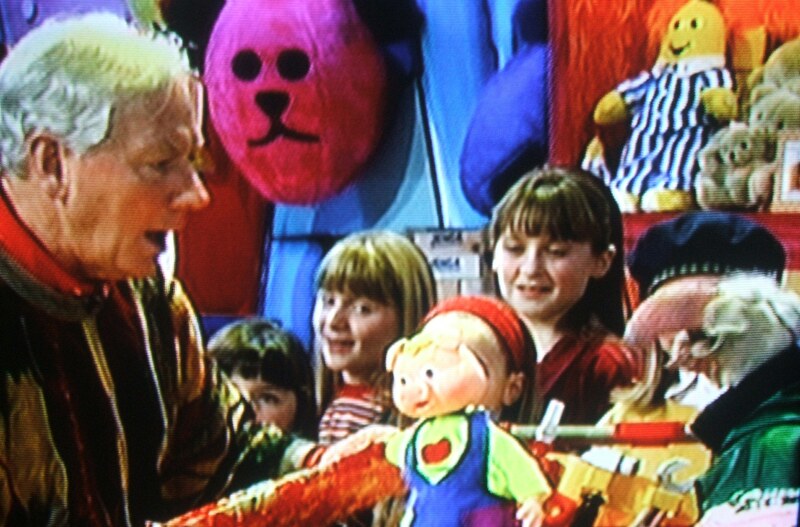 I mentioned earlier that the Late Late Toy show was one of three occasions where we were allowed to stay up past our bedtime. Let me share the others. And this one is huge because it is a two day event. It is the Rose of Tralee. Now, there will be quite a few of you out there reading this who are wondering 'what the heck is the Rose of Tralee'. In a nut shell, it is a beauty pagent, Irish style. Oh yes. Such a thing does exist. and then they have a talent segment. The show always finishes with the winner being serenaded the song 'Rose of Tralee'. The other sleep depriving event is one shared with children across Europe. It is of course, the one and only Eurovision. The 90s was the decade where we ruled the Eurovision roost. It was not only an entertainment show, it was how we learnt to count to twelve in French. Irlande douze points! Alas, it has gone downhill from there, but who can forget this great Eurovision moments? Naturally, childhood can't be all TV and books... there is that blasted interference called school. I know there is loads missing. Perhaps I will do a part two at some stage. I loved Joan O Neill's books, have you read the others in the series? Pretty certain Bread and Sugar is the second one, the first is Daisy Chain War. I read Daisy Chain War too but I always much preferred Bread and Sugar. No idea why! Maybe because they find Paul! I vaguely remember Emma and Joe, that was an independent set of books though, whereas Ann and Barry were good old Fallons finest! I haven't read the series in again, I should reread them again really! I've tried Googling Emma and Joe and have find nothing! Must up the search so to prove I'm not crazy! Fancy Pages!! Did you collect/swap fancy pages Lu?